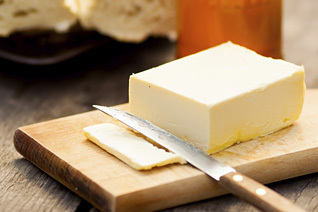 Boasting rich and natural flavors, each butter variety holds a wonderfully creamy texture and a smooth, velvety taste. Butter with a bright, appealing, golden color can only be the result of plush hillsides with intense green grass, perfect for grazing cows, goats and sheep. Unique and fresh, these butters are made using a traditional churning methods, from local, high quality ingredients. Boasting rich and natural flavors, each variety holds a wonderfully creamy texture and a smooth, velvety taste.